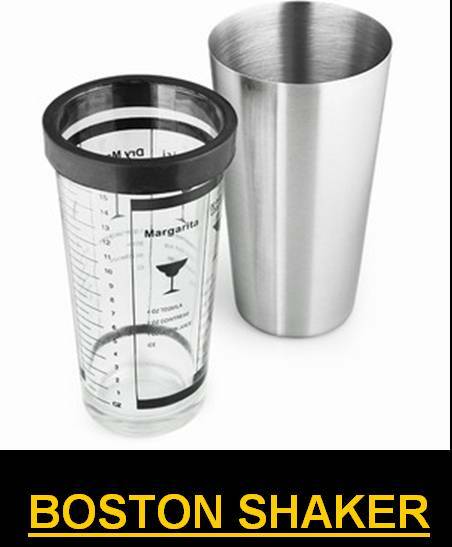 Ø The Boston Shaker: A two-piece shaker consisting of a metal bottom and glass or plastic mixing glass. The mixing container and bottom are inserted into each other for shaking or used separately for stirring or muddling. A separate strainer, such as a Hawthorn or Julep strainer, are required for this type shaker if crushed ice is used. Without such a strainer, some bartenders may instead strain by narrowly separating the two pieces after shaking and pouring the drink through the resulting gap. Ø The Cobbler Shaker: A three-piece cocktail shaker that has tapers at the top and ends with a built-in strainer and includes a cap. The cap can often be used as a measure for spirits or other liquids. Ø The French Shaker: A two-piece shaker consisting of a metal bottom and a metal cap. A strainer is always required for this type of shaker, barring the separation method mentioned above. 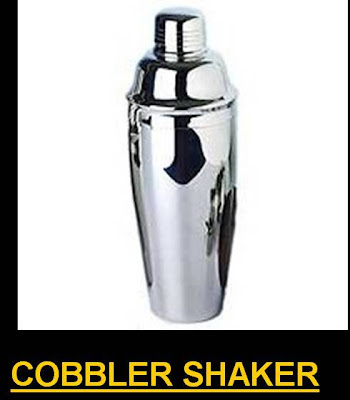 A cocktail shaker is a device used to mix beverages (usually alcoholic) by shaking. When ice is put in the shaker this allows for a quicker cooling of the drink before serving. A shaken cocktail is made by putting the desired ingredients (typically fruit juices, syrups, liqueurs and ice cubes) in the cocktail shaker. Then it is shaken vigorously for around 5 to 10 seconds, depending upon the mixability of the ingredients and desired temperature. Ø ALWAYS USE CLEAR ICE. NEVER USE THE SAME ICE AGAIN. Ø ALL INGREDIENTS SHOULD BE MIXED WELL. Ø DO NOT OVERFILL THE SHAKER. USE A LARGE SHAKER. Ø CHILL THE COCKTAIL GLASS BEFORE SERVING. Ø SERVE IMMEDIATELY AFTER MIXING. DO NOT FILL THE GLASS TILL THE RIM. Ø ALWAYS USE THE BEST QUALITY GARNISHES. ØIF EGG WHITE OR YOLK HAS TO BE ADDED, SEPARATE THEM FIRST. Ø PLACE THE ICE FIRST IN THE SHAKER AND THEN THE OTHER INGREDIENTS. Ø COCKTAILS BASED ON WINES, LIQUEURS ARE GENERALLY STIRRED. Ø INGREDIENTS USED FOR SHAKEN COCKTAILS SUCH AS FRUIT JUICE, CREAM, SUGAR NEED A VIGOROUS SHAKE TO BLEND PROPERLY. vThe base is the principal ingredient of the cocktail. It is typically a single spirituous liquor, such as rum, gin or whiskey, and typically makes up 75 percent or more of the total volume of the cocktail before icing. v The modifying agent is the ingredient that gives the cocktail its character. Its function is to soften the raw alcohol taste of the base, while at the same time to enhance its natural flavor. 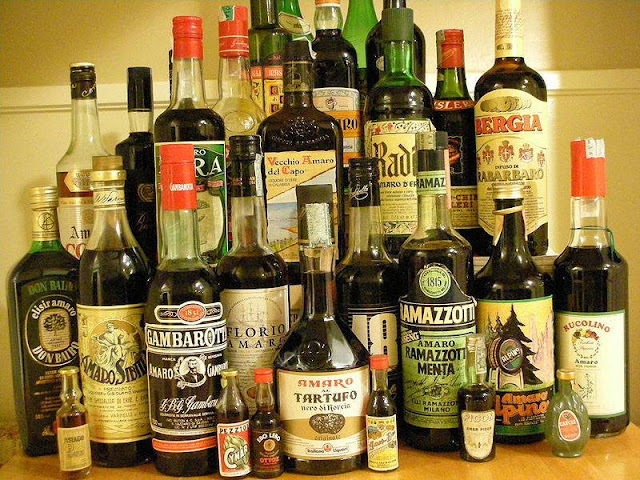 Typical modifying agents are aromatic wines (such as vermouth) and spirits (such as Fernet Branca or Amer Picon), bitters, fruit juices and "smoothing agents" such as sugar, eggs, and cream. 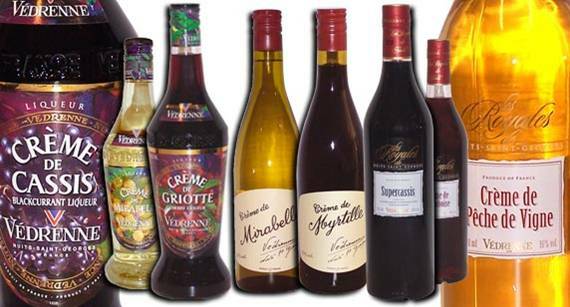 v Special flavoring and coloring agents include liqueurs (such as Grand Marnier or Chartreuse), Cordials, and non-alcoholic flavored syrups (such as Grenadine or Orgeat syrup). These are typically used in place of simple syrup, and are to be used sparingly. v It should be made from good-quality, high- proof liquors. v It should whet rather than dull the appetite. Thus, it should never be sweet or syrupy, or contain too much fruit juice, egg or cream. v It should be dry, with sufficient alcoholic flavor, yet smooth and pleasing to the palate. v It should be pleasing to the eye. A cocktail is a style of mixed drink. Originally a mixture of distilled spirits, sugar, water, and bitters, the word has gradually come to mean almost any mixed drink containing alcohol. A cocktail today usually contains one or more types of liquor and one or more mixers, such as bitters, fruit juice, fruit, soda, ice, sugar, honey, milk,cream, or herbs. Anise liqueurs have the interesting property of turning from transparent to cloudy when added to water: the oil of anise remains in solution in the presence of a high concentration of alcohol, but crystallizes when the alcohol concentration is reduced. Layered drinks are made by floating different-coloured liqueurs in separate layers. Each liqueur is poured slowly into a glass over the back of a spoon or down a glass rod, so that the liquids of different densities remain unmixed, creating a striped effect. Nowadays, liqueurs are made worldwide and are served in many ways: by themselves, poured over ice, with coffee, mixed with cream or other mixers to create cocktails, etc. They are often served with or after a dessert. Liqueurs are also used in cooking. Some liqueurs are prepared by infusing certain woods, fruits, or flowers, in either water or alcohol, and adding sugar or other items. Others are distilled from aromatic or flavoring agents. The distinction between liqueur and spirits (sometimes liquors) is not simple, especially since many spirits are available in a flavored form today. Flavored spirits, however, are not prepared by infusion. Alcohol content is not a distinctive feature. At 15-30%, most liqueurs have a lower alcohol content than spirits, but some liqueurs have an alcohol content as high as 55%. Dessert wine, on the other hand, may taste like a liqueur, but contains no additional flavoring. A liqueur is an alcoholic beverage that has been flavored with fruit, herbs, nuts, spices, flowers, or cream and bottled with added sugar. Liqueurs are typically quite sweet; they are usually not aged for long but may have resting periods during their production to allow flavors to marry. The word liqueur comes from the Latin liquifacere (“to liquefy”). 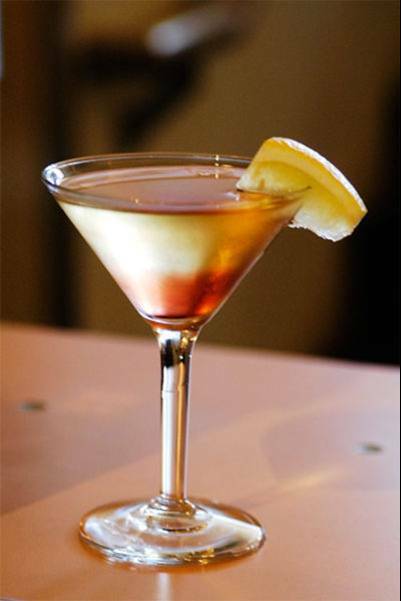 A distinction can be made between liqueurs and the kind of cordials that are made with fruit juice. In some parts of the world, people use the words “cordial” and “liqueur” interchangeably. Liqueurs date back centuries and are historical descendants of herbal medicines, often those prepared by monks, as Chartreuse or Bénédictine. Liqueurs were made in Italy as early as the 13th century and their consumption was later required at all treaty signings during the Middle Ages. Marc is a spirit distilled from pomace wine or from the residue of grape skins and seeds after the grapes have been pressed for wine making. It is manufactured in similar styles in other countries like Italy (Grappa), Portugal (Bagaciera) and Spain (Aguardente). Framboise (pronounced /fʀɑ̃bwaz/) (from the French for raspberry) or Frambozenbier (Dutch) is a Belgian lambic beer that is fermented using raspberries. It is one of many modern fruitbeer types that have been inspired by the more traditional kriek beer, made using sour cherries. Framboise is usually served in a small glass that resembles a champagne glass, only shorter (could also be a goblet). Most framboise beers are quite sweet, though the Cantillon brewery produces a tart version called Rosé de Gambrinus that is based on the traditional kriek style. The Liefmans brewery uses Oud bruin beer instead of lambic to make its high quality framboise beer, resulting in a very different taste. Recently, Framboise has become popular outside of Belgium, and can now be found in pubs and supermarkets all over the world. Slivovitz or Sliwowitz is a distilled beverage made from Damson plums. Slivovitz is primarily produced in Slavic regions of Central and Eastern Europe, both commercially as well as by many households on an informal, homemade basis. Primary producing nations include Serbia, Czech Republic, Lithuania, Slovenia, Slovakia, Bosnia, Poland, Hungary, Bulgaria, Romania and Croatia. It is most popularly consumed in those nations, as well as wherever communities of expatriate from these nations exist. Similar plum brandies are also produced in Switzerland, France, the United States, and Canada, but marketed under other names, such as brandy, Pflümli, or eau de vie. Kirschwasser (pronounced KIRSH-vahs-ər, German for “cherry water”, German pronunciation: [ˈkɪɐ̯ʃvasɐ]) is a clear, colourless fruit brandy traditionally made from double-distillation of morello cherries, a dark-coloured cultivar of the sour cherry. However, the beverage is now also made from other kinds of cherries. The cherries are fermented complete (that is, including their stones). Kirschwasser is often simply called Kirsch in both German- and English-speaking countries. Poire Williams is a colorless eau de vie made from the Williams pear. It is generally served chilled as an after-dinner drink. Many producers of Poire Williams include an entire pear inside each bottle. This is achieved by attaching the bottle to a budding pear tree so that the pear will grow inside it. The Williams pear is known as the Bartlett pear in the United States. Williamine is brand of Poire Williams; the trademark is owned by Distillerie Louis Morand & Cie, who distill the drink on their premises in Martigny, Canton of Valais, Switzerland from nearby orchards.